Brand positioning and website for high-end, designer baby changing bags. Responsible for: brand workshop facilitation and creative direction. 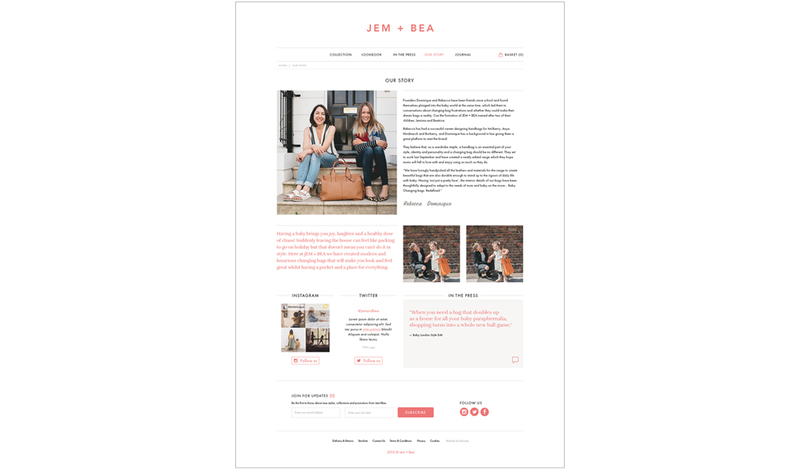 Jem+Bea – Brand workshop facilitation and creative direction. 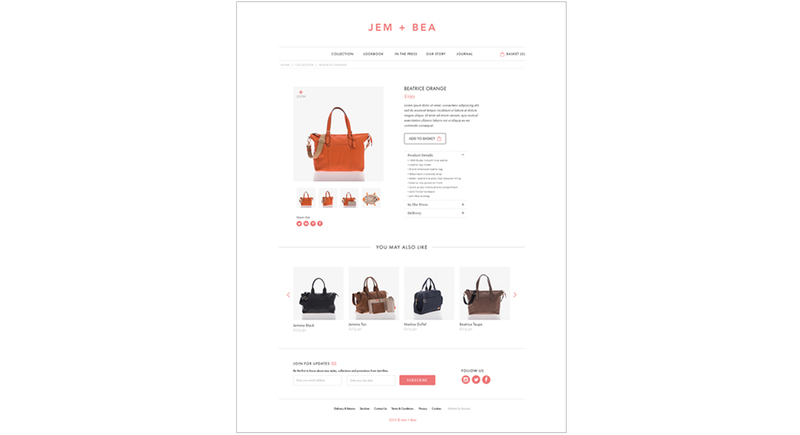 Aimed at style conscious mums, Jem+Bea baby changing bags are all about classic luxury, but with a modern edge. This stylish and contemporary website has been a huge success for the client and in 2016 it won bronze at the Kent Digital Awards. 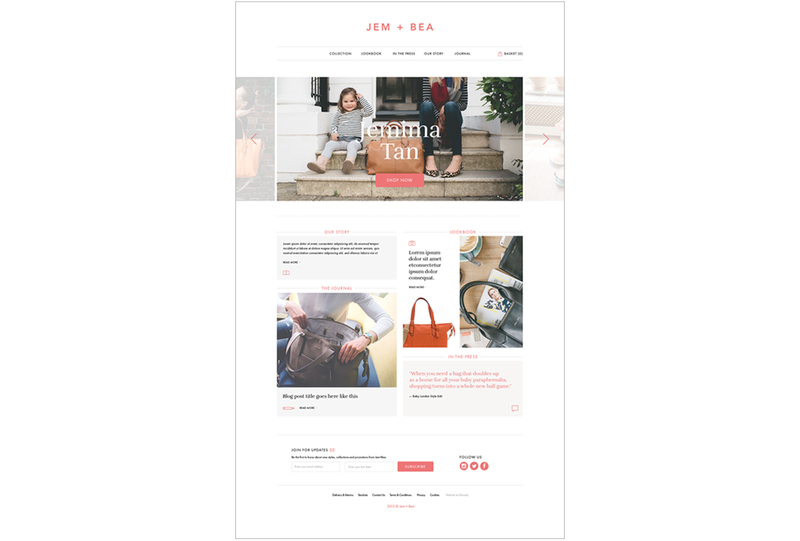 Brand positioning, email design and website. Brand workshop facilitation and creative direction.